Janie A. Bowthorpe, M.Ed, has spent years as one of the most well-known and heartfelt Thyroid Patient Advocates, fighting for better thyroid care. And what has made her different from others who claim the same title? It’s her unique focus, which has always been about reported patient experiences and the wisdom gained from those experiences … rather than strong opinions or courting the medical establishment. Like millions worldwide, Janie was a 20-year victim of poor treatment with T4-only meds and the use of the TSH lab test, only to have a miraculous turnaround in the use of Natural Desiccated Thyroid. Those experiences propelled her to represent patients worldwide, totally based on their experiences and wisdom. She is the author of the book, Stop the Thyroid Madness. 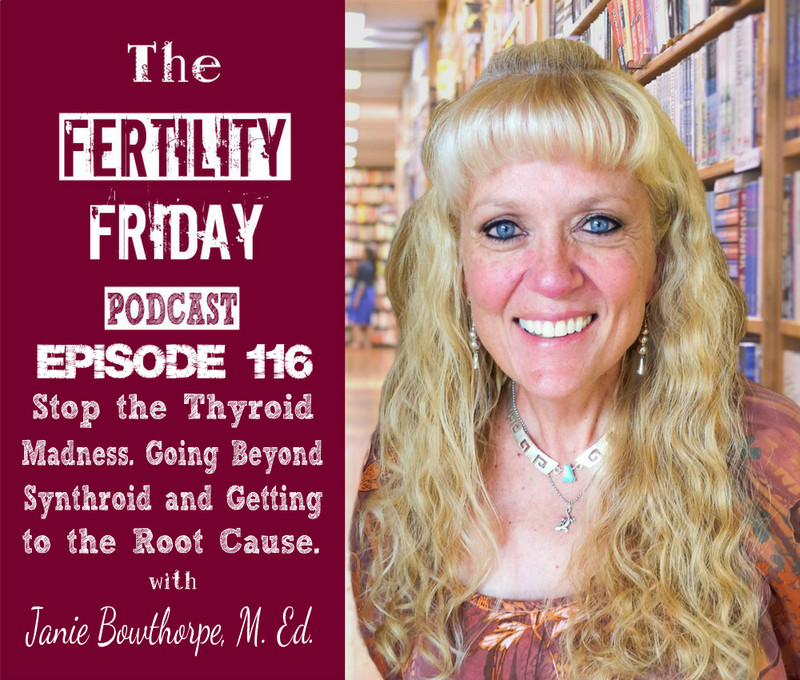 In today’s show, we talk about why women who show signs of hypothyroidism often have the hardest time getting support from their doctors; whether it’s lab work or getting prescriptions for thyroid medication (other than Synthroid®). We get to the bottom of the common issue of why a woman can feel terrible even if she has “normal” lab results, and what she can do if her doctor isn’t supporting her mission to get to the underlying cause. What events led to Janie writing her book, Stop the Thyroid Madness? What can cause symptoms to get worse after taking desiccated thyroid? What are some underlying causes of Hypothyroidism and can it be cured?